440C stainless steel. 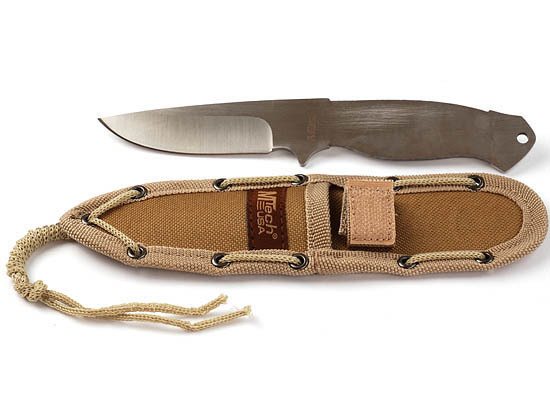 7-5/8" overall length, 3-3/4" blade length. Includes a tan sheath. Spacer - Vulcanized Black 5" x 12"